MONDAY, Jan. 8, 2018 (HealthDay News) — Obesity rates among poor kids may be declining, U.S. health officials report. “Our findings indicate recent progress in reducing the prevalence of severe obesity among young U.S. children enrolled in WIC,” said lead researcher Dr. Liping Pan, an epidemiologist at the U.S. Centers for Disease Control and Prevention. 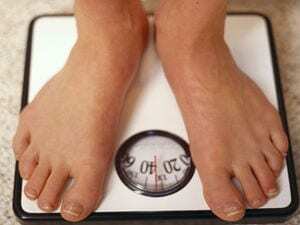 “However, severe obesity in early childhood remains a serious public health concern,” Pan added. “These lifelong health risks associated with severe obesity during early childhood indicate the importance of preventing and identifying severe obesity as early as possible,” Pan said. “The WIC food packages were revised in 2009 to promote fruits, vegetables and whole-wheat products, include more variety of healthy food options, support breast-feeding and provide state agencies with greater flexibility in prescribing foods to accommodate cultural food preferences,” she said. Except for the rare endocrine or genetic conditions, childhood obesity is entirely preventable. “That nearly two out of every 100 children in WIC are subject to the adversities of severe obesity is a national disgrace,” Katz said. For instance, he said that Americans are too willing to overlook the perils of a food supply that he described as willfully engineered to be addictive. They’re also willing to recognize junk food as a food group and to mortgage the future health of children for the sake of corporate profits, he said. For the study, the researchers — from the CDC and the U.S. Department of Agriculture’s Food and Nutrition Service — collected data on nearly 23 million 2- to 4-year-olds from all the states who were enrolled in WIC from 2000 to 2014. Specifically, the researchers looked for the prevalence of severe obesity among these children. That’s especially true, she said, “in a world where we are bombarded with highly effective marketing campaigns targeting kids for fast and junk foods, sweets and other unhealthy foods.” Heller is a senior clinical nutritionist at New York University Medical Center in New York City.